A native of North Dakota, Beth’s path to veterinary medicine was definitely full of twists and turns. She graduated from Concordia College in Moorhead, MN, in 1992 with a BA in English and French. From there, she went on to earn a Masters in International Policy Studies from the Monterey Institute of International Studies in Monterey, California, with the hopes of pursuing a career in the Foreign Service, but her spouse’s career kept them state-side. For 10 years, she worked for Ann Taylor, an upscale specialty women’s retailer, in New Jersey, California, Houston and Minneapolis. When the retail life conflicted with quality of life, she relocated to Bozeman. 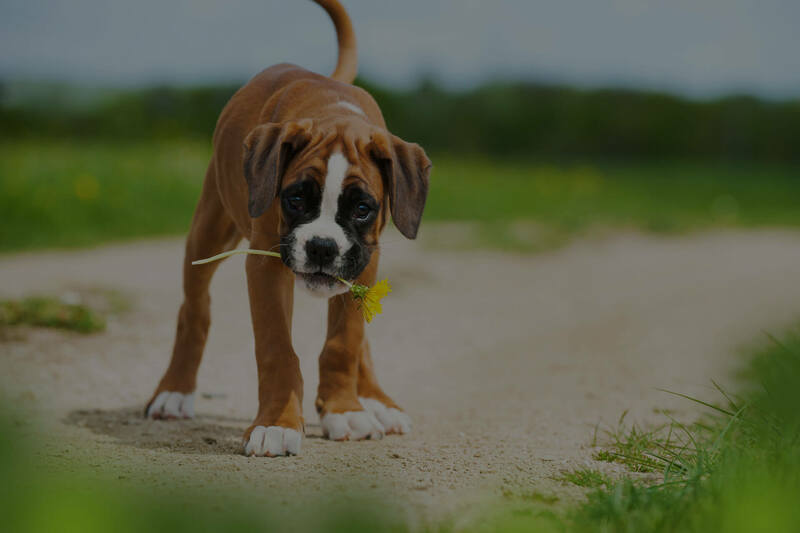 She managed a veterinary practice in Bozeman for 5 years prior to playing an integral role in the creation of 360° Pet Medical in early 2008. Beth is married to William, and their 2 sons are now out of the house…one is in college for bio-medicine, and the other is in the Marines. Down-time is spent enjoying activities with extended family here in Bozeman, cooking and baking, and caring for their 4-legged “babies”, their kitties, “Isabel” and “Dash”. Jordan has lived in the Bozeman area for a majority of her life, enjoying everything our community has to offer. In particular, she enjoys partaking in hiking, camping, kayaking and anything outdoors. From a young age, Jordan developed a great deal of experience with animals, owning a variety of critters such as fish, a cat named Blackie, and a variety of dogs, as well as volunteering with 360 at the age of thirteen. 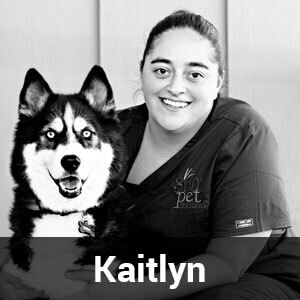 She has always had a passion for animals which led her to becoming an experienced dog trainer of 4 years, as well as becoming a certified dog groomer of 2 years. Along with this, Jordan has five years of receptionist experience with this being the first vet hospital. 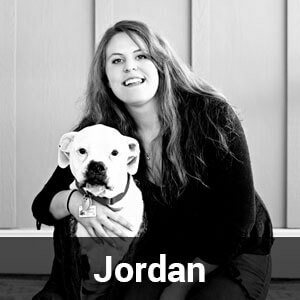 Jordan has two dogs- an American bulldog named Payton and a boxer named Logan who she loves training search and rescue and agility with. Jordan loves to continue her education and experiences, and is excited about being a part of your 360 experience! 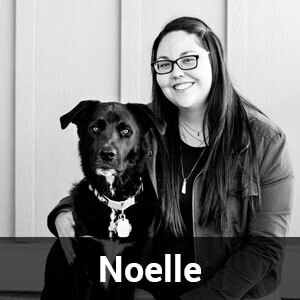 Noelle is a Nevada native who moved to Bozeman five years ago to attend school at Montana State University, and obtained a Bachelors in Psychology. 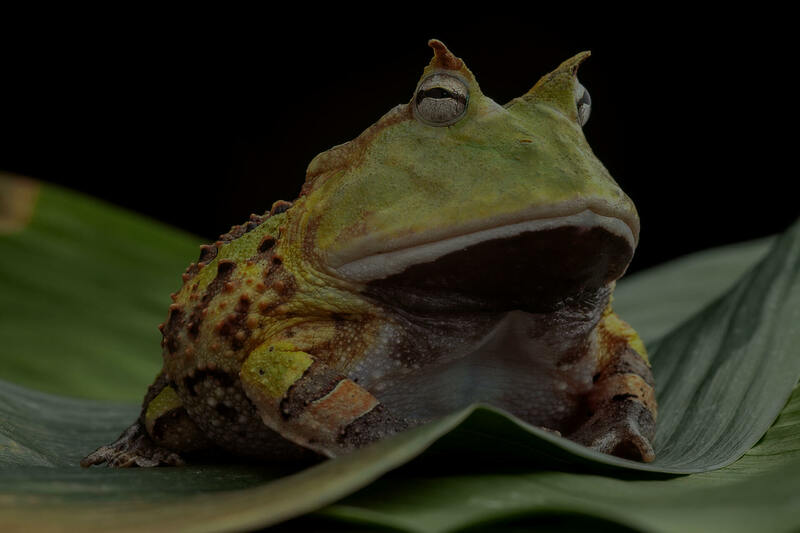 During her time here, she has dedicated her time to creatures great and small, as a dog trainer for five years, and a customer representative of all things pet, for six years through various companies and resources. While in Bozeman, she has worked with a variety of populations regarding mental health and the ways in which suicide and depression influence our community here. Likewise, she has found an interest in Service Dogs, Therapy Animals, and Emotional Support Animals, and the many ways animals can help us through the many forms of emotion and experiences of life. Noelle has a pound puppy named Jax who she has self-trained as her personal Service Dog, as well as a Pacman Frog named Ichabod, and loves seeing the bond that can be formed between people and pets. 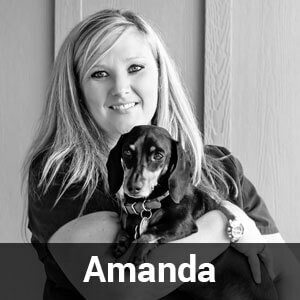 Roxie brings to 360° Pet Medical almost 18 year experience as a veterinary technician. 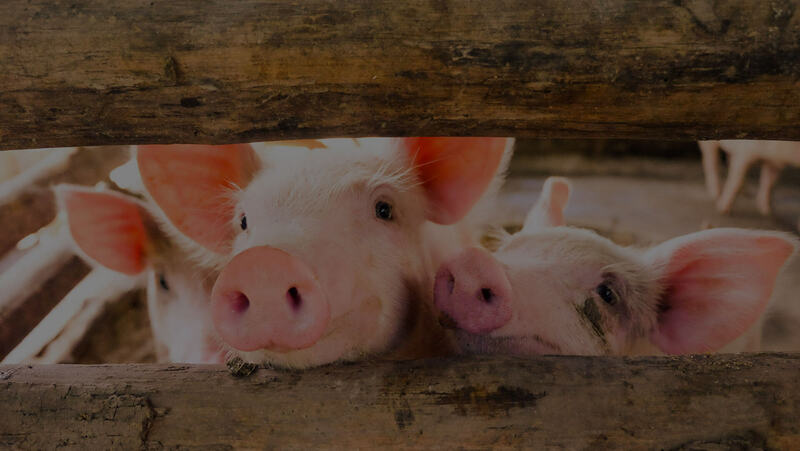 She became certified in 2006 when her employer/mentor encouraged her to take the Veterinary Technician National Exam the last year Montana offered the test to those being grand-fathered in with “in the trenches” training. 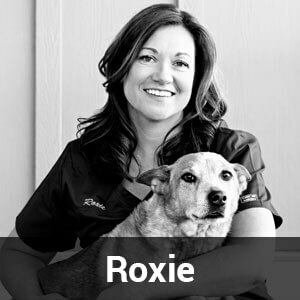 Roxie has a special interest in dentistry since attending advanced classes in dental radiology and working with a board certified veterinary dentist. A super-fan of her children, Roxie can be found cheering on the sidelines of her kids’ sporting events and activities. She also spends her winter Sunday afternoons with her husband screaming at their beloved Denver Broncos. The hairy extended family includes 5 dogs and a cat. Ellie was born and raised on the boundary waters canoe area of Minnesota in a small town called Ely. She grew up raising and breeding bunnies from a young age, but always loved animals of all shapes and sizes. 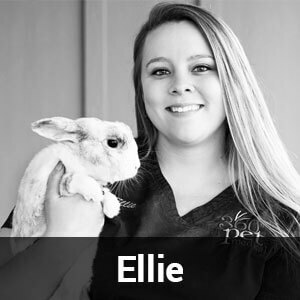 Ellie worked in a veterinary clinic in her hometown as an assistant and kennel tech for six years before deciding to attend Ridgewater Community College in Wilmar, MN. 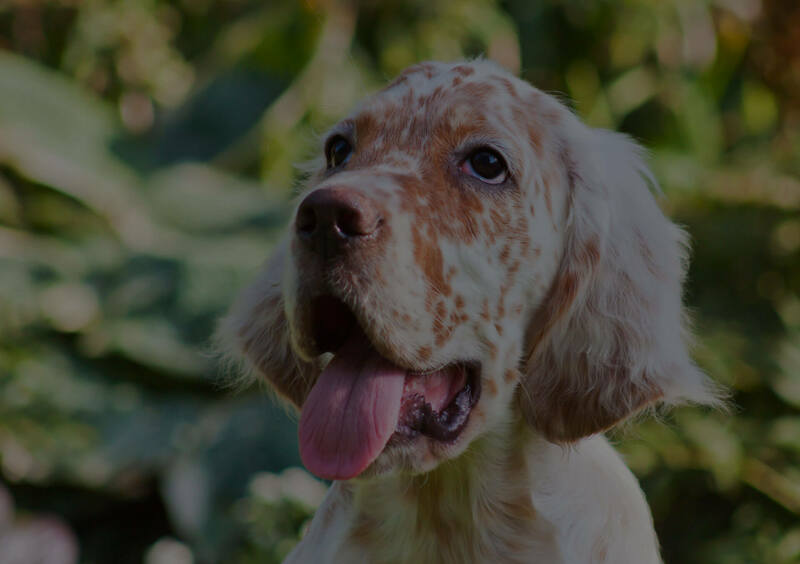 During college, Ellie worked with an English Setter breeder where she assisted in everything from the whelping process of the newborns to all daily care for the adults. She spent her weekends working for a vet clinic close to school. After graduating in 2013 with an Associates in Applied Science in Veterinary Technology, Ellie had the opportunity to travel to Denmark to complete an internship at the largest veterinary hospital in Copenhagen. Ellie then decided to move west to Montana to fulfil her dream of living in the mountains, and has been working with us at 360 since 2013. In her spare time, Ellie enjoys painting, traveling, camping, fishing, photography, pet sitting, and of course, being the best bunny mom to her 11-year-old rabbit, Coby. Cissy was born and raised in Montana. Growing up in the Bridger Mountains, her love for animals started young. 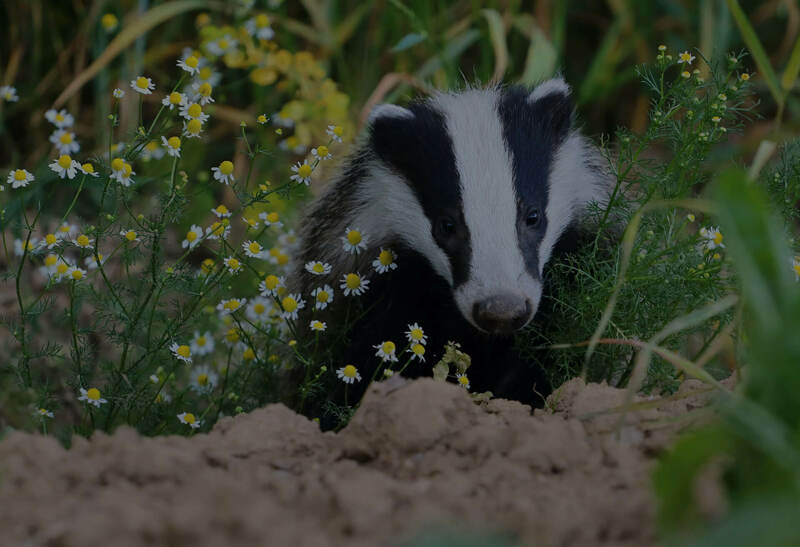 Cissy grew up with horses, dogs, cats, rabbits, pet turkeys, lizards, turtles, hedgehogs, and the most extraordinary pet badgers. She originally went to school at Northwest College for her animal science degree. After establishing a career in the fire industry, she decided to pursue her dream of working with animals. Cissy has her degree in Applied Science of Veterinary Technology. 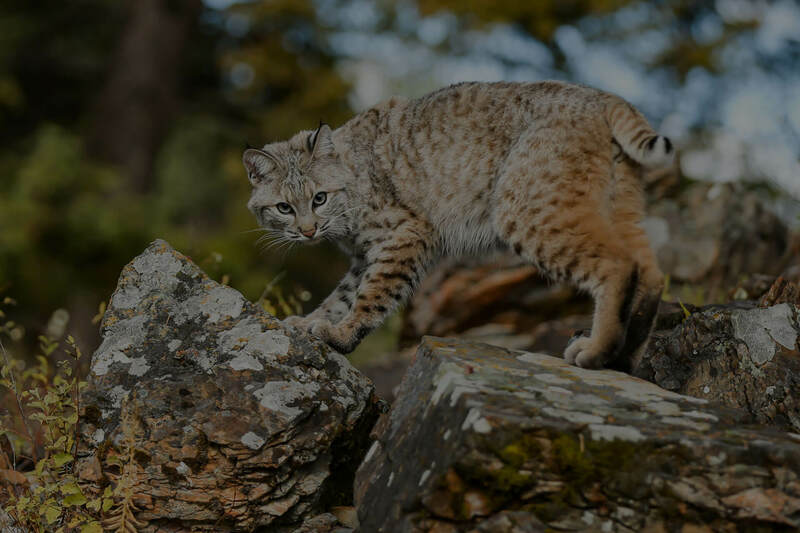 In her off time, you can find her with her husband, Tim, in the outdoors with their kids, Remington and Colt (English Springer Spaniels) Cissy also has two cats; Tuddle and Bundle, as well as chinchilla, Peanuts. 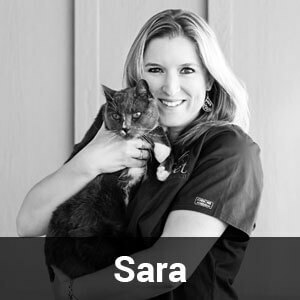 Sara Johnson is a 2003 graduate from Arizona State University with a Bachelor of Science degree in Biology, a 2005 graduate from Pierce College with an Associates degree in Veterinary Technology and Fear Free certified in 2016. Sara lives with her husband, David, their two beautiful daughters, a DSH grey and white cat named Tye and six chickens. Outside of work, Sara, enjoys fishing, camping and scuba diving (open water certified). Her interests at work include: dentistry and assisting in surgery. Morgan is a Colorado native. She has always loved animals and grew up with all kinds of them: dogs, cats, guinea pigs, peacocks, chickens, and horses. Morgan knew from a very early age that she wanted to work with and help animals…being involved in 4H growing up, showing horses and dogs. She was also the 2010 Ouray County Rodeo Queen. In 2014, Morgan graduated with honors from Montana State University's College of Agriculture with a bachelor's degree in Animal Science (Equine Science). She fell in love with Bozeman while at school and moved back in May 2016. 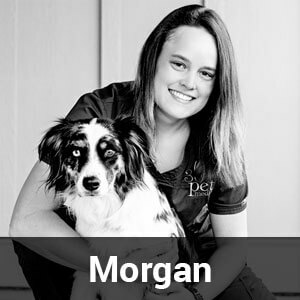 Since returning to Bozeman, Morgan has enrolled in Penn Foster to become a certified veterinary technician, which she is very excited about!Morgan enjoys spending time with her animals. She has an Australian Shepherd named Chloe. They love to hike and visit Bozeman's awesome dog parks! She also have a Mustang/Quarter Horse cross named Maverick. They like to ride in the mountains and do some roping. Morgan and her critters all love to get outside and explore! Kaitlyn was born and raised in Montana. She has 3 years of reception experience but this is her first time working in a veterinary clinic (about which she is very excited). She has been considering going to school to become a Certified Veterinary Technician. On her time off, she enjoys reading, drawing, boxing, being outdoors, and spending time with her family and her 3 dogs: Koda, Nico, and Charlie. Cassidy was born and raised in Montana. She has always loved animals and has wanted a career in veterinarian medicine. She is currently attending Montana State University studying microbiology. After graduating MSU, she hopes to continue her education and attend veterinary school. In her spare time, Cassidy enjoys spending time with her family, snowboarding, dancing and hiking. 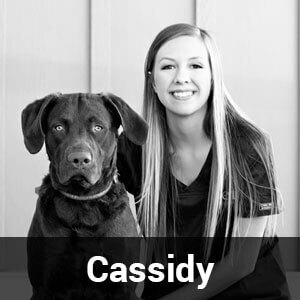 Cassidy has a yellow lab, Molly and a horse, Chuckly that live with her family and a Chesapeake Bay retriever, Kruz that lives with her in Bozeman. Slayer of dragons, cheeser of macaroni, Rachel is a perfect genius and very very beautiful. Cameron Diaz calls her on her personal cell phone. She can even touch her thumb to her wrist! Ask her about her experience choking on a hard boiled egg. Bye! Coming from a military family, Rachel grew up in Alaska and North Dakota. She relocated to the Bozeman area for the shared love of the outdoors by a pet-friendly community, sharing this beautiful life with her husband, Chris, young son Bridger, and 3 dogs Giovanni, Skiba, and Toby. 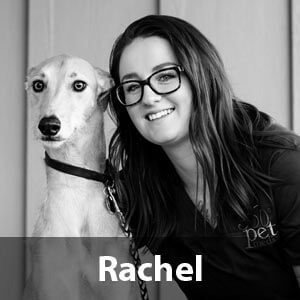 Rachel’s career began in 2010 in a mixed-animal practice, and she has found a lifelong passion in the veterinary field. Especially interested in specializing in anesthesia, Rachel is pursuing her CVT. She has a real passion for the human-animal bond, and is especially partial to the shelter community. She is a regular court jester and fierce professional. 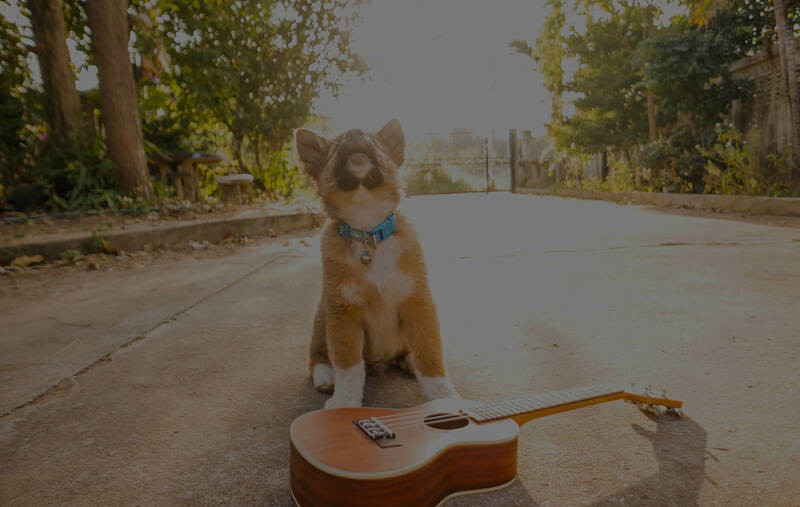 In her free time, Rachel has many creative outlets including pet portrait painting and playing ironic hip hop covers on her ukulele. On the weekends, you can find her kayaking, fly fishing, or hiking with her family. Hannah’s story begins on a rainy October day in Fort Dix, New Jersey. Born into a military family, Hannah grew up all over the United States and spent a total of four years (two of those being her Junior and Senior year of high school) in Bavaria, Germany. Her whole life, Hannah loved animals and she took that love for animals and graduated with a Bachelor’s of Science in Equestrian Studies at Rocky Mountain College in 2011 and recently began work on her Associate’s of Science to acquire her Veterinary Technician Certification. 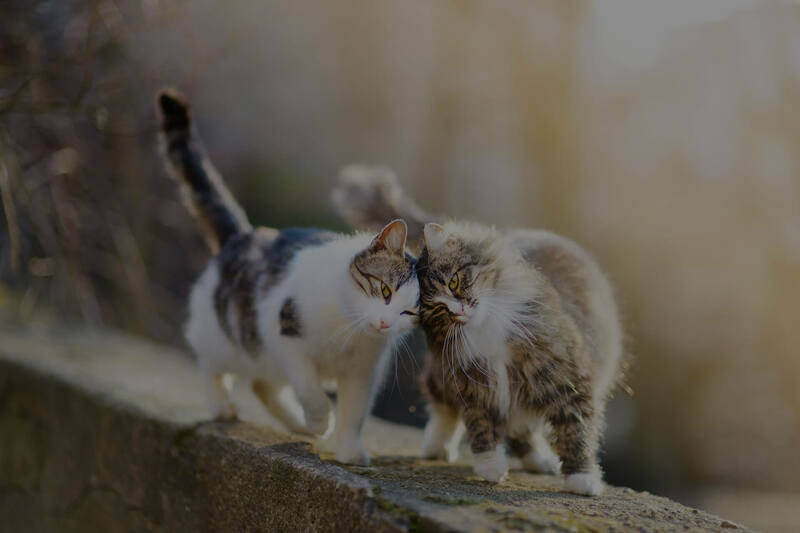 Due to moving every 2-3 years, Hannah never had pets growing up and has compensated for those years living pet free by rescuing two dogs, Toba and Dibble, and two cats, Christian and Silas. 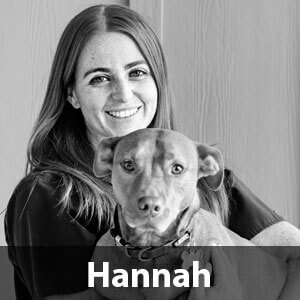 After working at a veterinary clinic for six years in Billings she and her boyfriend recently moved themselves, dogs, and cats to Bozeman so Hannah could begin work at 360 Pet Medical in hopes of expanding her knowledge in the field of veterinary medicine. 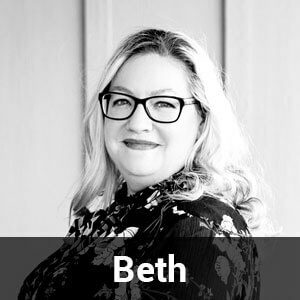 Though she claims Port Orchard, Washington as her hometown, Montana is where her heart is and she is happy to be living in Bozeman where she can be closer to the mountains. 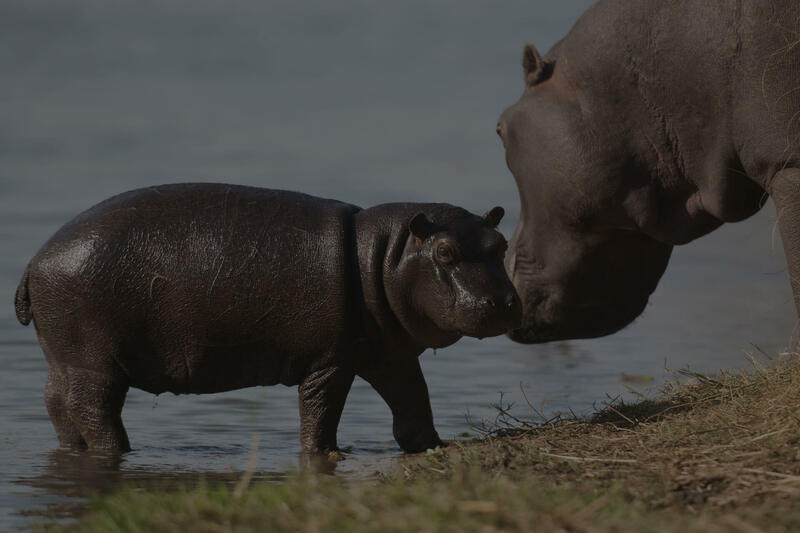 Hannah is an avid hiker, Netflix binger, trivia addict, frustrated student, gym junkie, aspiring world traveler, book worm, and collector of all things involving hippos. Emily grew up in Jacksonville, Florida and has never had a choice but to be a die hard Jacksonville Jaguars fan. She moved to Helena her freshman year of high school and then to Bozeman once she graduated. Emily has always grown up with at least 4 pets in the house at a time, 2 dogs and 2 cats was always the rule. She has always loved animals and has learned over the years that she might actually love animals more than most people! 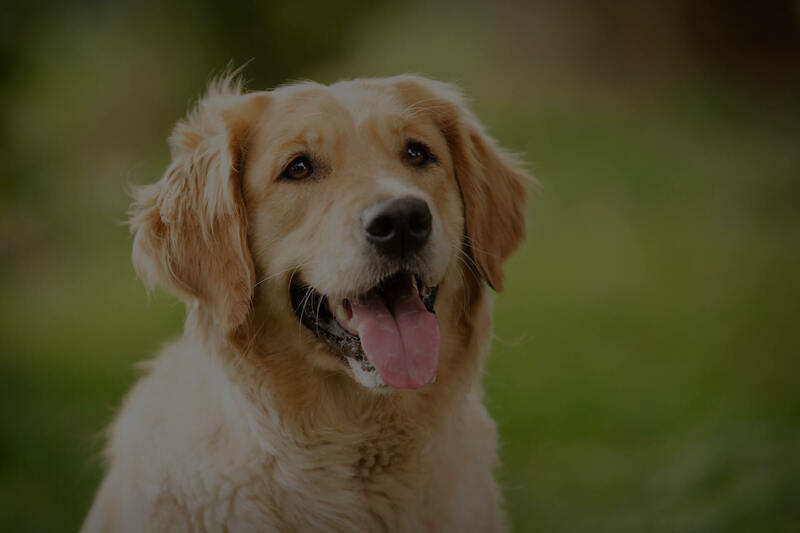 She adores all animals but Golden Retrievers will always have a special place in her heart, just in case you are wondering why she is so excited when you come in with them. 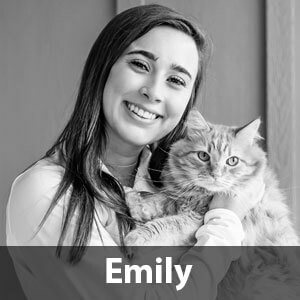 Emily loves to travel and adventure and never wants to stay in one place too long. She plans on studying Secondary Education next fall and is excited to expand her horizons. This is her first time working in a veterinary clinic but is excited for all the messy and wonderful opportunities to get to know your fur family! Amanda was born and raised in a small town called Sterling, Massachusetts. She found her love of animals at a young age growing up on a dairy farm. She participated actively in the 4-H community with livestock and horses. In 2012, Amanda graduated from Montana State University with two bachelor degrees in Animal Science (Livestock management) and Range Management. In her spare time she can be found barrel racing with her horses, instructing equine lessons and enjoying the great outdoors with her two dogs Bella and Angus.